There are more than a dozen unique attractions at Morgan Hill. While Coyote Lake, Uvas Reservoir, and Calero County Park have their simple natural charms, Guglielmo Winery has its distinct appeal, and the likes of Morgan Hill Outdoor Sports Center have become popular places to visit. You ought to explore Villa Mira Monte, Nisene Marks State Park, Toro Regional Park, Rosicrucian Egyptian Museum, Pinnacles National Park, Gilroy Garlic Festival and some of the trails to know why the city and its surrounding areas should be your next travel destination. Visit Anderson Lake, aka Anderson Reservoir, spread across more than four thousand acres. If you are a catch and release enthusiast, then this is a great place to host a picnic, you can go boating or waterskiing, hiking or jet skiing. Anderson Lake County Park is a popular hotspot among locals and tourists alike. Check out, Diana Park. The neighborhood park has sand pits with shade, play structures, and biking trails. Morgan Hill Community Garden is another popular attraction. The garden was developed on Butterfield Boulevard fairly recently. It opened in 2009 and has expanded substantially in less than a decade. Coyote Creek Trail is an enticing place. The trail stretches for over twenty-two miles and is ideal for biking, walking, inline skating, and horseback riding. You can also try mountain biking. Villa Mira Monte is one of the more distinct explorations in Morgan Hill. Located at 17860, Monterey Road, Morgan Hill House which is its alternate name is a museum with rose gardens. It's centennial history trail is immensely popular. You might want to attend the Gilroy Garlic Festival. It is an annual event, scheduled to be held on the 27th to the 29th of July in 2018. Relish the garlicky foods, participate in cooking competitions and enjoy live entertainment. If you love scampi, calamari, steak and sausage sandwiches, pasta, garlic fries, and bread, then it should be a top priority for you. Once you have dined at the Michelin restaurants, you may want to check out Guglielmo Winery. The century-old winery off East Main Avenue has several award-winning wines. It is one of the best estate vineyards in the entire Santa Clara Valley. Pick up a 2013 Barbera or Cabernet Sauvignon, a 2015 Chardonnay or Dolcetto, maybe a Grignolino Rose from the same year. 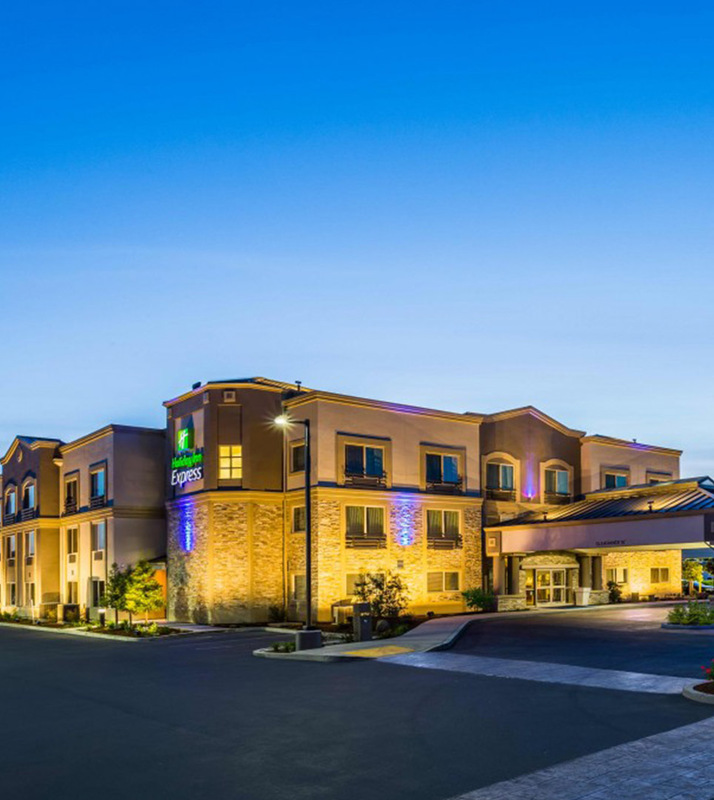 Holiday Inn Express is a mile south of Guglielmo Winery. The property offers convenient access to all major attractions in and around Morgan Hill. Reserve your stay online to get the best deal.